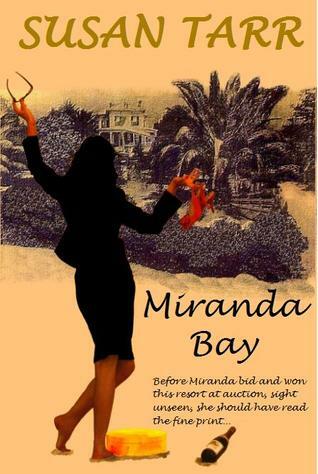 About the Story: Miranda, a quirky, strong-minded and lovable young woman, splurges her inheritance on the old Miranda Bay Sanatorium in the sub-tropical Bay of Islands, New Zealand, simply because it bears her name. She knows little about running a business and depends heavily on loyal cousin Pansy’s expertise. In her frantic drive for success Miranda hires a motley crew to get cracking on the property. Hamilton, her lascivious financial advisor, seizes the opportunity to undermine her. But now with paying guests expected, she must make some serious decisions. So the guests trickle in – hardly the sophisticates Miranda has envisaged. Witty and wicked, scandalous and scary, this is a story to make you laugh and cry. My Thoughts: This was an emotional read for me, very real, sometimes scary and well described by the author. If I were to put myself into such a position as Miranda did, perhaps I’d react the same. Can you imagine putting all your money into a project you just know will succeed (yet, sight unseen), selling all you have to make a go, only to arrive to find you purchased a dud, a place which will take more money than what you have to be financially solvent? Miranda was a confident woman with plenty of self-esteem. She started that way. Everything she’d ever done was a success. She convinced her best friend and cousin, Pansy, to share this wonderful adventure. They were going to be famous–people would flock to their resort. The author, Susan Tarr, carried me into a maelstrom of emotion with extremes of euphoria to a manic depressed state. As I read, Miranda’s mental condition and physical condition worsened; she sunk deep into drink and even used drugs. Once in a while you could see her struggling to find herself, trying different tactics to bring in money, use whatever people skills she had and at those times you saw glimpses of the woman she had been. Pansy was helpful, bolstering her friend as well as she could. She was a friend anyone would be fortunate to have. She never complained, worked hard, took on more of the job of running the resort. Miranda’s world was something I’ve never experienced. The type of people she met, the discussions they had were quite the eye opener for me. Some of the language I didn’t understand nor the jokes, but that’s probably related to not being from New Zealand or that part of the world along with growing up in another decade or two. Miranda’s woes were financial, but she also dealt with harassment that took her further down the path of self-destruction. Then when all seemed to hit bottom, she met Jack. Jack had issues of his own. They were very attracted to each other, but Jack was a priest in a seminary. How could he be attracted to a woman and sustain a relationship? I think I took away from this read that mistakes in life are made, financial ruin can happen, but there is always hope if you are willing to seek it. Eventually, somewhere, somehow you will find your niche in this world and regain your balance. Life is to be lived, experienced with all its challenges and hope. Bottom line, I found this story captivating, not my usual world, nor light reading although there were times of obvious hilarity. To me it was a story more thought-provoking, pondering what composes life, how much of it is destiny, how much luck and how much choice. Well done, Susan Tarr! 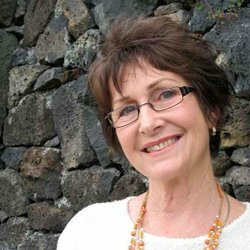 About the Author: Susan Tarr has been writing for 25 years, drawing on her international travels, work within the NZ tourism industry, and her work in various psychiatric hospitals within New Zealand. 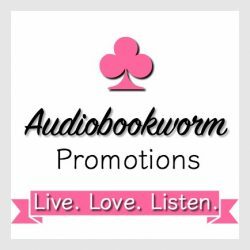 This entry was posted in Contemporary Fiction, Contemporary Romance, Women's Fiction and tagged Book Review, contemporary fiction, Miranda Bay, Susan Tarr. Bookmark the permalink.